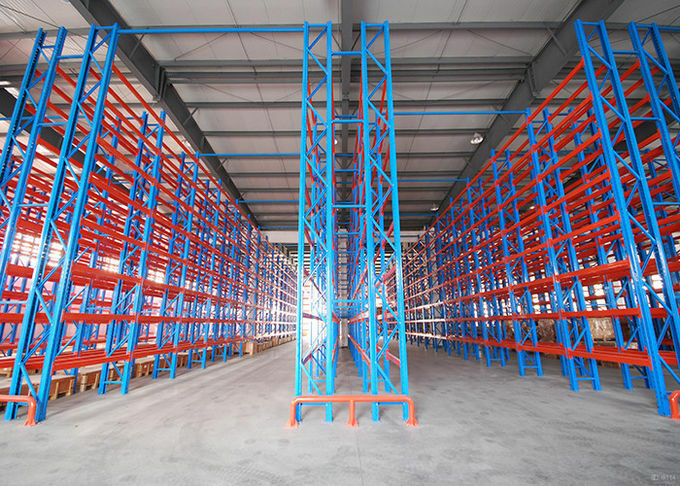 Heavy Duty Storage Racks is also named Pallet rack or beam rack,which is the most conventional rack.It can store not only multi-vality goods with small quantity but also unified goods with big quantity. the rack mainly consists of uprights,beam and alternative accessories,such as uprights protector,frame barrier,pallet support bar,pallet stop beam and loading panel.This item is simple structure with convenient installation and dismantlement.It is widely used in high warehouse. 4. 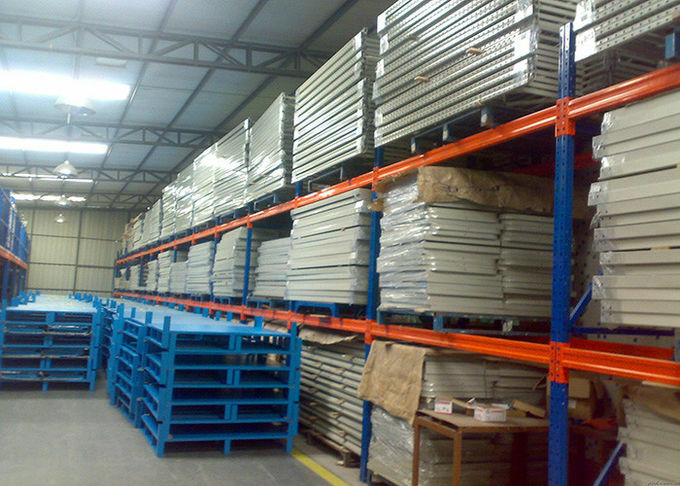 Special sizes also avaiable to specific storage needs. 1. 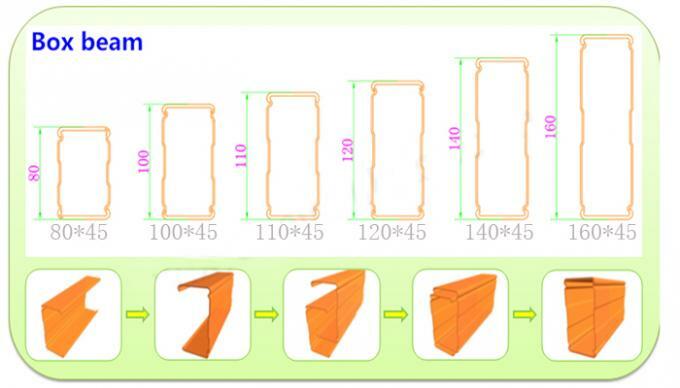 Upright frame: 80×60×2.0, 90×70×2.0, 100×70×2.0, 120×95×2.0-2.5mm, etc. 2. 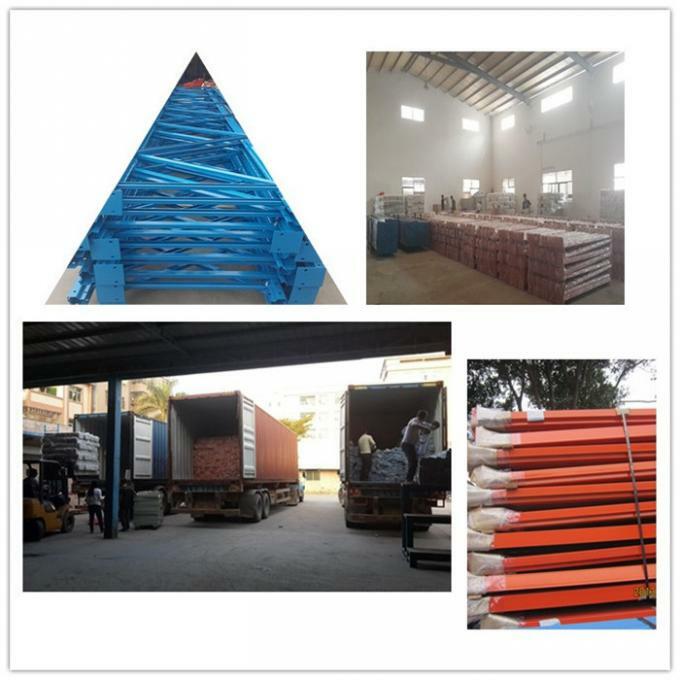 Boxed beams section: 80×50×1.5, 100×50×1.5, 110×50×1.5, 120×50×1.5-2.0, 140×50×1.5-2.0, 160×50×1.5-2.0, 180×50×2.0mm, etc. 3. Horizontal & diagonal braces, upright footplates, safety locking pins, bolts & nuts, anchors and all necessary components. High-quality powder coating paint finish.